Luxurious and comfortable room with modern amenities. Gokul Ottupura is in close proximity to the Ernakulam Railway Station and provides a luxurious stay for its guests. Equipped with modern facilities, the hotel has pull-down windows to give the feel of a lively neighborhood and natural light in the premises. The rooms are bright, warm and simple with comfortable furnishings and a hint of vintage living. The bathroom is compact and is equipped with modern amenities. 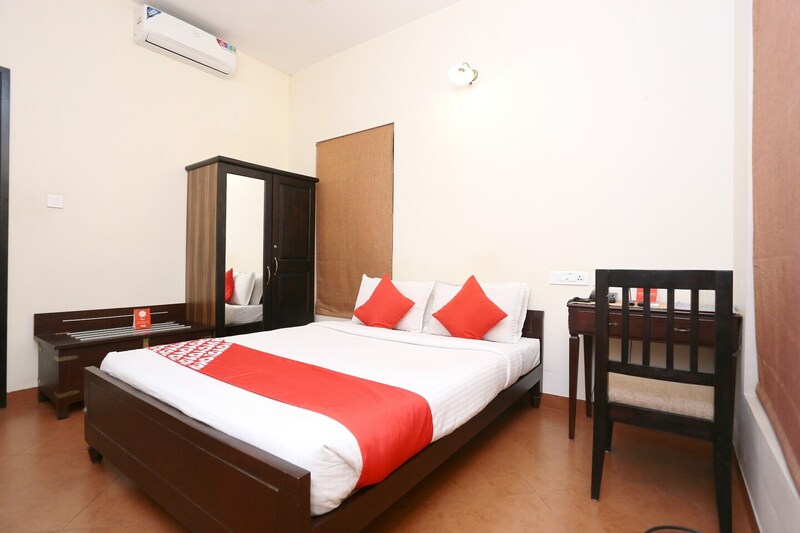 Guests can avail the facility of free WiFi, card payment option, and laundry services. Kernakulathapan Temple and Ernakulam Shiva Temple are nearby to the hotel for spiritual release along with shopping hubs to unwind.